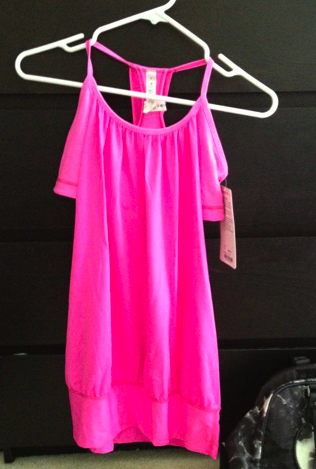 Thanks to Rachel for sharing her strategic partner store find, the Pow Pink/Heathered Pow Pink No Limit Tank. It’s a beauty and I’m definitely tempted by it. Not sure what size to get though since my size 10 NLT is a bit big but I remember the size 8 was not quite billowy enough. "Second Denim Co. Yoga Jeans Contest Winner"